In today's business landscape, 'personal brand' applies to every professional in the working world - no matter what industry. The digital economy gives everyone an equal playing field to shape the way you're seen, build industry influence and position yourself for success. You don't need to be a speaker, author or celebrity to invest in your brand, infact some of the most powerful personal brands are senior executives in global companies. Projecting an image of professionalism, confidence and approachability is key to creating an online profile that builds trust and credibility. Our personal branding photos will set you apart from the pack and drive business opportunities your way. 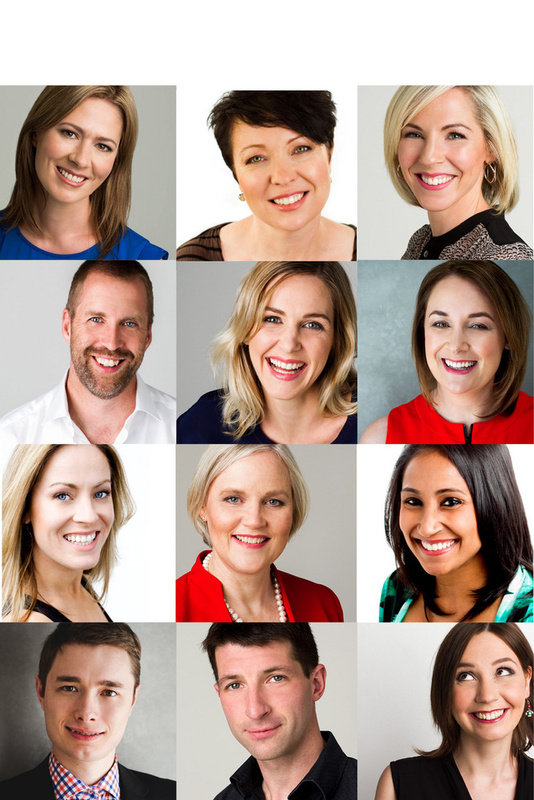 Traditional corporate headshots can be seen as boring and cliched. We know what it takes to stand out in a noisy and competitive market place and will bring our creative flair to showcase your team in a way that is dynamic, authentic and aligns with your company’s brand and values. We understand that not everyone loves having their photos taken but we’ll ensure you have the preparation materials you need to get relaxed and comfortable in front of the camera. Fo information on corporate individual branding photos sessions click here to find out about my signature VIP branding photo experiences. We will equip you with everything you need to present yourself to media, speaking events, corporate campaigns and online profiles. Looking for a professional, streamlined way to capture your entire team for your website, profiles or social media? Our photography packages exclusive to corporate teams are a fabulous investment to your organisation. Rebecca and her hand picked team of all star photographers are friendly, professional and highly skilled. We are available to set up a mobile studio at your organisation and can also create a photo booth at your next corporate event or business retreat. We will not only enhance the overall experience that your partcipants have on the day but will also ensure that each person we photograph walks away feeling confident that we captured them at their very best. To make a booking or find out more about how we can help your business, visit the contact page and send all your requirement details. We will respond within 72 business hours. "Rebecca nailed the brief I gave her - a professional profile image that reflects the work I do while giving a true representation of me and my personality. What I didn't expect was how Rebecca's work transformed the way I look at myself and appreciate how I look, flaws and all. Rebecca, your energy, laughter, creativity and professionalism made the whole process extremely enjoyable, thank you!" ~ Pauline Jordan - Senior Principal Talent Advisor. Australia and New Zealand. Oracle. "Rebecca is a radiant, vibrant and enthusiastic photographer who knows how to capture the best possible image of yourself. I would highly recommend Rebecca to anyone looking to boost their profile or even just feel better about their themselves. Thanks again Rebecca for the wonderful photos." "Rebecca – oh, I loooooove them! You have done such a superb job! !